Conor McGregor accused Floyd Mayweather of ducking a face-off four days before they collide in the biggest fight of all time. A mix-up over the timing for their stage arrivals outside the T-Mobile Arena made for an unscheduled crossing of their paths. 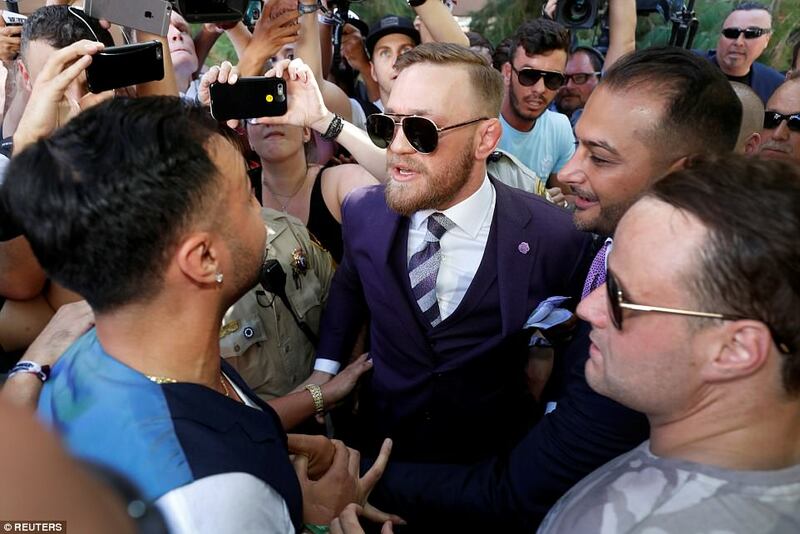 The Notorious Irishman – who also had a confrontation with former sparring partner Paulie Malignaggi during the grand arrival – was supposed to step out before the fans and into the sunshine outside the building first. 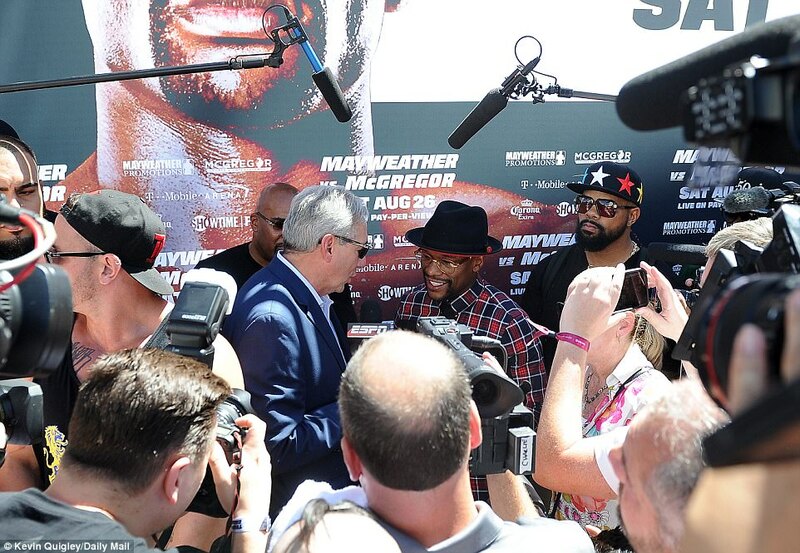 Mayweather, tired of waiting, went ahead with greeting what was in truth quite a thin congregation. 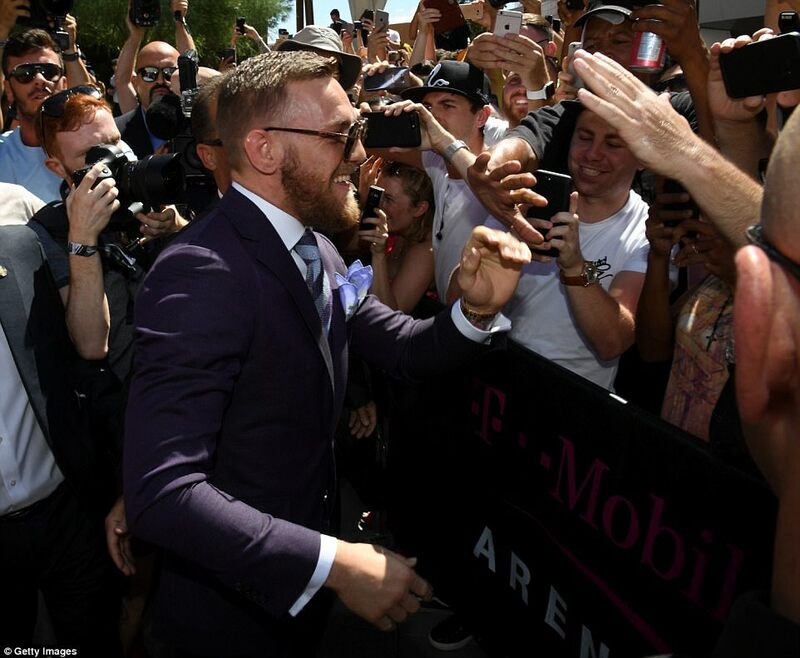 Then, as Mayweather took what tennis players call a comfort break in the middle of his behind-the-scenes chat with the media, McGregor was waiting outside. The UFC man told us later: ‘I walked over to him and he just kept talking to one of his “security donkeys” and looked away. Each of them predicted he would knock out the other on Saturday night in what is likely to become the first billion-dollar boxing match. When advised of that prediction, McGregor reposted: ‘I believe I am going to knock him down in the first round because be sure I am going to start fast. After that, maybe I will toy with him for two or three rounds and it’s possible the referee will have to step in and stop it. 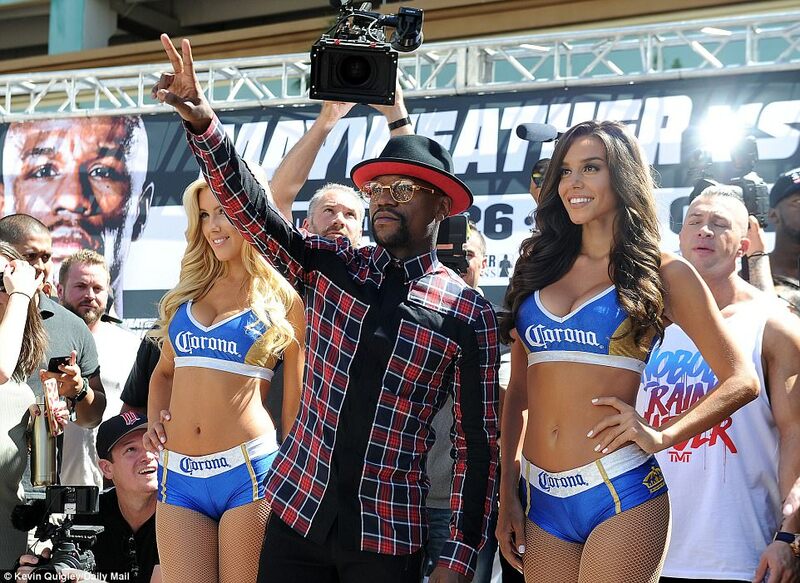 Even if that happens, Mayweather dismisses any possibility that he will box on after this, his 50th fight. He said: ‘I’ve promised my children and I’ve promised the people around me that this is the last one. Despite the public’s disappointment of his preceding mega-fight with Manny Pacquiao, Mr Money said: ‘I want this one to be a great event. 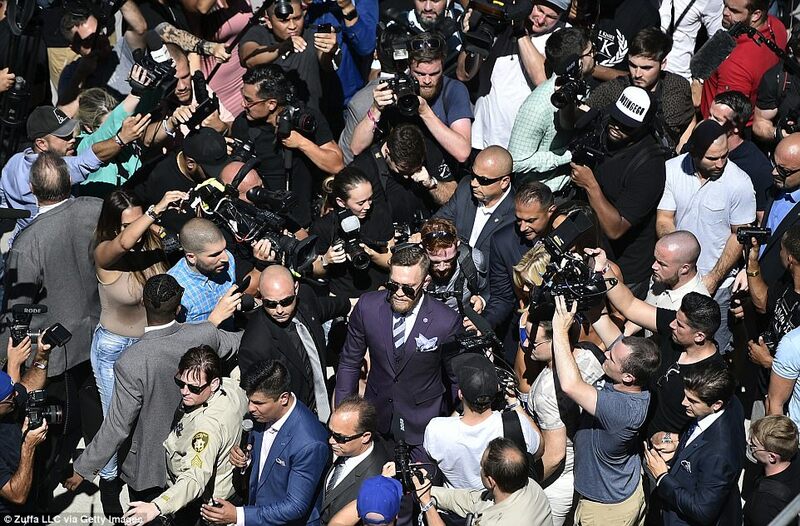 McGregor was originally scheduled to arrive at 1.30pm (PT) but kept his loyal fans waiting for well over an hour and a half in 37-degree heat before Mayweather decided to jump the gun and step on to the stage ahead of his opponent. 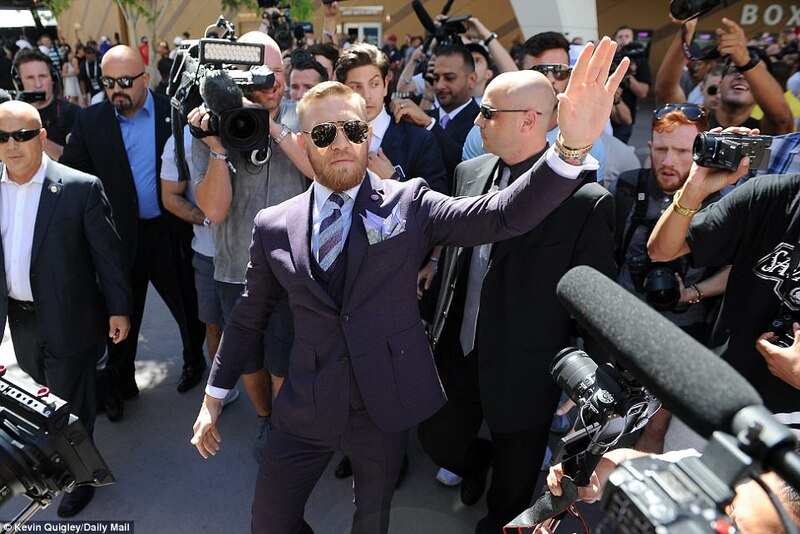 The 40-year-old wore a casual shirt with a trilby and glasses as he made his way through the hoards of photographers and greeted fans, many of whom appeared to make their allegiance towards McGregor clear with jeers and boos. 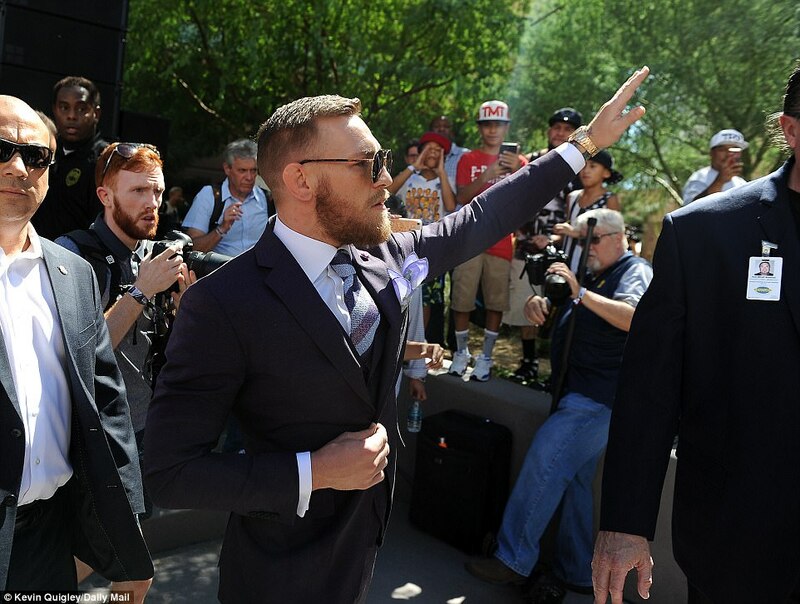 His nemesis was not far behind and was there shaking hands with the Irish fans shortly after Mayweather took his leave. He defied the scorching temperatures to don a full dark suit, in keeping with the formal style he has retained throughout their promotional tour. 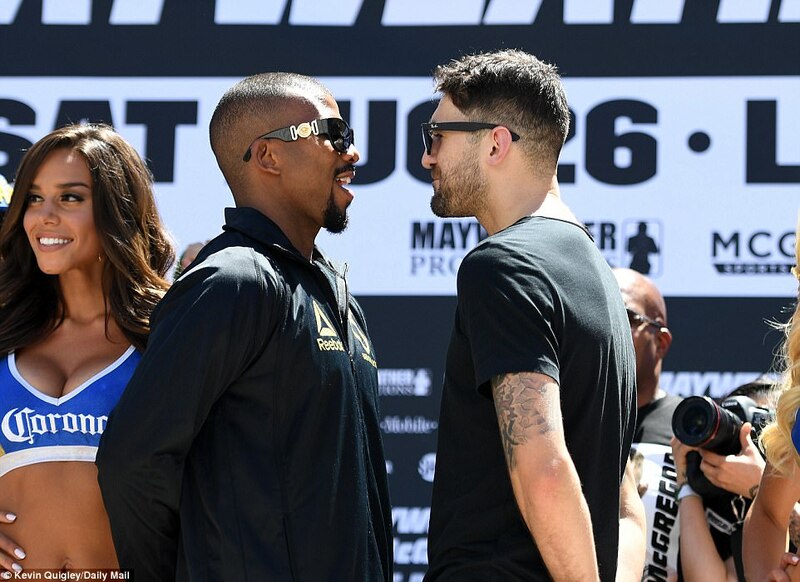 The final press conference before the fight is due to take place on Wednesday (8pm BST) in what will be the final opportunity for the famously talkative opponents to trade insults and perhaps steal a mental advantage ahead of their bout.